Mohsen Rezaei (left) speaks to correspondents. A paycheck from which 20,000 rials had been deducted for "aid to the people of Yemen." Official Iranian spokesmen praised the start of Russia's aerial attacks in Syria. Hossein Hamedani, considered the Iranian Revolutionary Guards Corps' (IRGC) senior military advisor in Syria, was killed in the region of Aleppo. 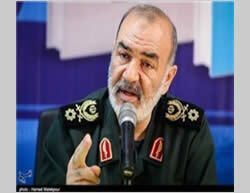 Iran denied a report of an increase in Iranian ground forces in Syria. The Arab media reported serious disagreements between Iraqi Prime Minister Haider al-Abadi and the IRGC Qods Force's commander, Qasem Soleimani, over Soleimani's involvement in Iraq's internal political affairs. The Arab Coalition forces in Yemen halted an Iranian boat carrying arms for the Shi'ite Houthi rebels. 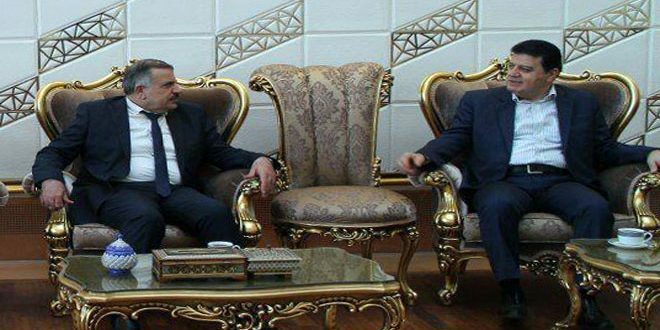 A delegation of Yemen's Supreme Revolutionary Council membersrepresenting the Houthi rebels was received in Tehran. Bahrain expelled the Iranian chargé d'affaires in Manama because of Iranian involvement in planning terrorist attacks on Bahraini soil. Hossein Hamedani, considered the IRGC's senior military advisor in Syria, was killed in the region of Aleppo. 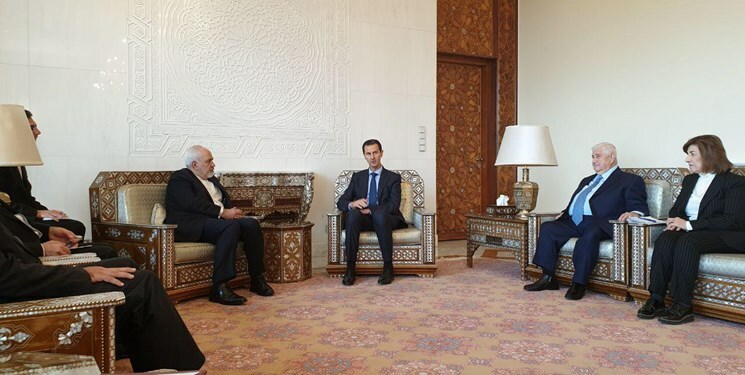 Iranian President Hassan Rouhani, interviewed by CNN during a visit to the UN General Assembly in New York, said Bashar Assad had to remain president of Syria. He said Syria's main goal was to overcome the ISIS terrorists and expel them from the country, and that could only be accomplished by strengthening the central government in Damascus. However, he added, when this goal had been reached, a program would also be necessary to enable the Syrian opposition to make itself heard. Rouhani claimed Iran and the United States were not engaged in direct talks about the crisis in Syria (CNN, September 28, 2015). Mohsen Rezaei, secretary of the Expediency Discernment Council and former IRGC commander, said Iran regarded Russia's entrance into Syria as a positive development. He added that terrorism was a global threat which required an action from the entire international community. Speaking with correspondents, he said that in Iranian assessment, in the near future a new regional coalition would be formed against the radical Islamic organizations, composed of Iran, Iraq, Syria, Russia and other countries (Tabnak, September 29, 2015). After the Russian aerial attacks in Syria began on September 30, 2015, Iran praised the Russian action and publicly supported it. Ms. Marzieh Afkham, spokeswoman for the Iranian foreign ministry, said that Iran supported Russia's military operation against the "terrorist groups in Syria," and regarded Russia's military action against them as a step forward in the struggle against terrorism and towards resolving the ongoing regional crisis. She added that the struggle against terrorism necessitated determination and joint international action based on collaboration with the governments of Iraq and Syria who carry the main burden of fighting terrorism (Tasnim, October 1, 2015). 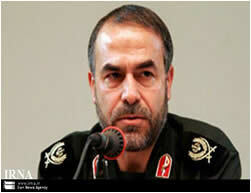 Hossein Salami, deputy commander of the IRGC, also praised Russia, saying that its entrance into Syria changed the balance of forces, and that Bashar Assad was part of the solution to the ongoing Syrian crisis (Farda News, September 29, 2015). On October 4, 2015, the IRGC's weekly publication Sobh-e Sadegh published an article by Yadollah Javani, senior advisor to Supreme Leader Ali Khamenei for IRGC affairs. He discussed the reasons for Russia's direct intervention in Syria and answered two main questions: why did Russia decide to intervene directly in Syria and begin a military campaign against the radical Sunni organizations, especially ISIS; and why does the international coalition operating against ISIS in Syria and Iraq object to Russia's intervention in Syria. According to Javani, the Russians came to the conclusion that the terrorist groups in Syria, especially ISIS, posed a serious threat to Russia's national interests, its national security and its territorial integrity. Some of the ISIS foreign fighters come from Russia and the Caucasus and are liable to return to their countries of origin with jihadist concepts. ISIS seeks to establish an Islamic Caliphate in the Muslim former Soviet republics and Russia regards any threat to the Muslim states in Central Asia and the Caucasus as a threat to its own stability and national security. In addition, creating a crisis for Russia is a strategic objective of the United States, which also seeks to divide Russia. In view of the aforementioned threats, Russia understood that if ISIS succeeded in realizing its goals in Syria, it would, in the near future and with Western, especially American support, declare an Islamic Caliphate in the Muslim republics bordering on Russia, which would threaten its security. Russia, which regards ISIS's activities in Syria and Iraq as a serious potential threat, therefore decided to respond positively to Syria's request and operate directly in Syria, and in the future possibly in Iraq as well. As to the opposition of the international coalition to Russia's activities in Syria, it was the result, according to Javani, of the fact that it is a "fictitious coalition," which never planned to destroy the terrorists, and particularly not ISIS. The coalition's conduct in recent months, he said, showed the international coalition sought to manage ISIS rather than destroy it, in order to realize its interests and the regional goals of the participating Western countries. 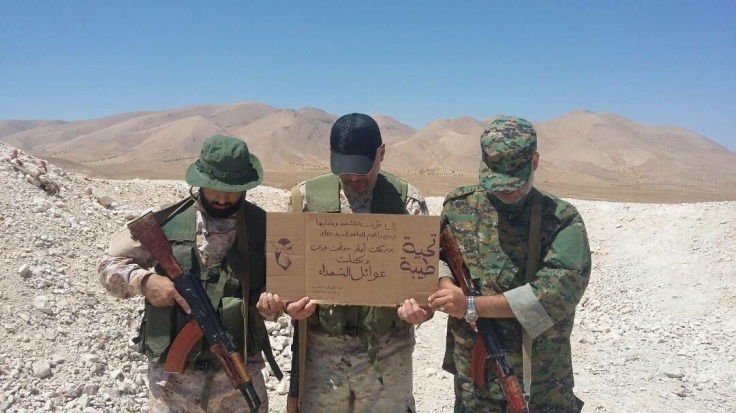 A senior Iranian diplomat strongly denied last week's Reuters report, based on Lebanese sources, that hundreds of Iranian soldiers had recently arrived in Syria to fight alongside Hezbollah on the ground in areas controlled by the rebel forces in northern Syria. He called the report "a complete fabrication" (IRNA, October 2, 2015). 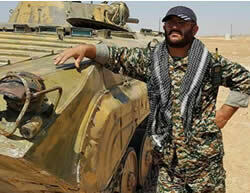 Ali-Reza Ghanavati, from the city of Karaz in the Alborz province, who served as a military advisor, was killed in the Syrian city of Homs. He was buried on October 7, 2015 (Defa Press, October 5, 2015). 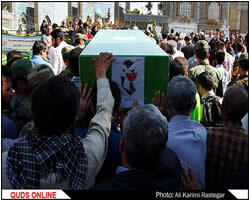 Esmail Nousavi and Nazer Hoseini, two fighters killed in Syria, were buried in the city of Mashhad on September 28. When and how they died were not reported (Modafeon, September 28, 2015). On October 1, 2015, Daoud Amran, secretary general of the Islamic Association in Nigeria, told the Saudi-financed London-based newspaper Al-Sharq Al-Awsat that Iran was training 3,000 Nigerian Shi'ites, who would be sent to fight in Syria. He said the training was supervised by the Iranian embassy in Abuja, the capital city, and by the consulate in Lagos. It was part of Iran's efforts to expand its influence among Nigerian Shi'ites, he said. He warned against the increase in Iranian activity in Nigeria, claiming Iran was using charitable organizations to transfer funds, and was supported by Shi'ite cleric Ibrahim Zakzaky, who headed Nigeria's Islamic movement. Zakzaky recently participated in a conference held in Mashhad in Iran, during which he expressed support for Iran and called it a role model and symbol of the struggle against dictatorship and the West. Zakzaky also said that since the Islamic Revolution in Iran the number of Shi'ites in Nigeria had grown and had reached almost a hundred million (IRNA, August 26, 2015). Since 2012 Iran has enlisted several thousand Shi'ite volunteers, mostly among Afghan refugees in Iran, to fight in Syria in return for a monthly salary and other benefits. They fight in the Fatmioun Battalion, which operates for the Syrian regime, along with Hezbollah. In recent weeks there have been several reports in the Arab media concerning serious disagreements between Iraqi Prime Minister Haider al-Abadi and the Iranian Revolutionary Guards Corps (IRGC) Qods Force's commander, Qasem Soleimani, over Soleimani's growing involvement in Iraq's internal political affairs. In August 2015 the Iraqi media reported that Soleimani had been sent to Baghdad to convince the Iraqi government not to remove former Prime Minister Nouri al-Maleki from his post as vice president or try him for his alleged responsibility for the fall of the city of Mosul to ISIS in the summer of 2014 and on charges of corruption. On September 22, 2015, the London-based daily Al-Sharq Al-Awsat reported an incident which occurred while al-Abadi, en route to Basra, encountered a convoy of official vehicles going to the Baghdad airport. He asked whose vehicles they were and was told they were for the use of Soleimani, who was supposed to meet in Baghdad with Abu-Mehdi al-Muhandis, commander of the Iraqi Hezbollah Battalions. Al-Abadi became angry and ordered the convoy to be stopped. According to the source of the report, whose reliability is uncertain, al-Abadi said that if Soleimani wanted to hold an official visit in Iraq, he had to make it known to the authorities, and if he wanted to hold a private visit, he had to request a visa. The newspaper reported that because of the disagreements between the two, the president had become increasingly concerned about an attempt on his life. Besides the report in Al-Sharq Al-Awsat there has been a series of reports in the Arab press during the past month about worsening relations between Soleimani and al-Abadi. On September 12, 2015, the Lebanese daily Al-Nahar reported that two serious incidents had occurred between the two in August. The first took place after al-Abadi instructed the Iraqi security forces to search Iranian planes in Baghdad's airport to prevent weapons from being transported to the Syrian regime and the Shi'ite popular militias in Iraq. 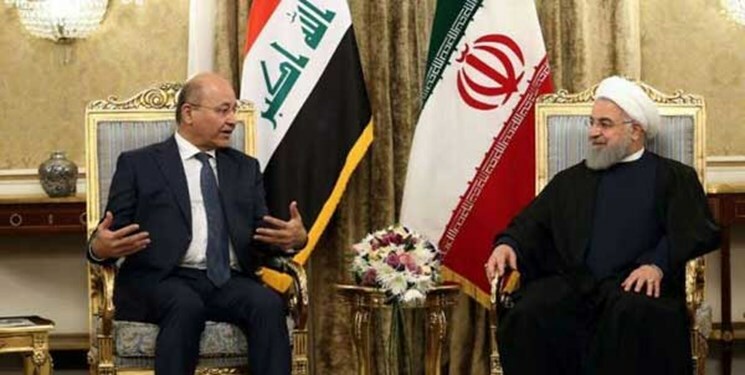 The second apparently occurred in the middle of August during a meeting al-Abadi held with Nouri al-Maleki and other senior Iraqi government officials after the former prime minister returned from a visit to Tehran. According to reports Soleimani was present at the meeting and criticized the political reforms proposed by al-Abadi following the public protest against corruption. Al-Abadi strongly criticized Soleimani and asked him if he were speaking for the Iranian government or expressing a personal opinion. Soleimani replied he was speaking as advisor to the Iraqi popular militias, and the prime minister snapped back that his own decisions were in line with the will of the Iraqi people and the Shi'ite leadership in Najaf, and that there was no justification for Soleimani's presence at the meeting. Soleimani then left the room. On September 30, 2015, Al-Arabiya TV reported that the Arab Coalition forces fighting in Yemen had halted an Iranian boat in the Arabian Sea carrying weapons, apparently for the Houthi rebels in Yemen. The boat, which according to its documents was a fishing vessel, was halted by the Arab Coalition forces on September 26, 2015, near the Omani shore. According to the Coalition, the vessel had been cleared by Iranian customs officials and therefore Tehran knew what cargo it was carrying. Fourteen Iranian nationals were aboard as well as a large quantity of weapons, including mortar shells, anti-tank missiles and weapons systems. The Iranian foreign ministry strongly denied the Arab Coalition claims, calling them "psychological warfare." An Iranian foreign ministry official said that the Coalition countries had been making baseless accusations since the hajj disaster at Mina, in Saudi Arabia, and that the Yemeni people did not need Iranian arms to fight their aggressors (IRNA, September 30, 2015). In recent years Iran, led by the IRGC's Qods Force, has provided support for the Houthi rebels in Yemen. On January 23, 2013, the Yemeni coast guard and security forces took control of the Jihan 1, a ship carrying weapons, explosives and military equipment, some of it made in Iran, from Iran to the Houthi rebels in northern Yemen. On February 2, 2013 the Yemeni News Agency reported government officials as saying that in Iran the ship had been handed over to eight Yemeni crew members to sail to Yemen. A delegation of members of Yemen's Supreme Revolutionary Committee, which was established by the Houthis in February 2015 after they took control of the capital city of Sana'a, went to Tehran to discuss developments in Yemen with senior Iranian officials in view of the continuing Saudi Arabian attacks (ISNA, October 5, 2015). Meeting with the delegation, Ali Shamkani, secretary of the Iranian Supreme Council for National Security, said that Iran regarded its support for the resistance of the Yemeni people to foreign aggression as a religious, humanitarian and moral duty. He strongly condemned the Saudi Arabian attacks on Yemen, calling them "war crimes" (Tabnak, October 6, 2015). 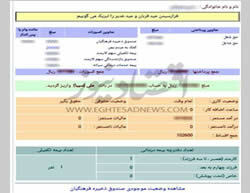 On September 23, 2015, the financial website Eghtesad News reported that Iranians working in the public education sector had recently learned that 20,000 Iranian rials (less than $1) had been deducted from their most recent salaries without their knowledge for the sake of "aid to the people of Yemen." Bahrain announced it had recalled its ambassador from Tehran and expelled the Iranian chargé d'affaires from Manama in protest over Iran's involvement in planning terrorist attacks on Bahraini soil. The announcement was made shortly after an announcement from the Bahraini ministry of the interior that its security forces had uncovered a large plant for manufacturing bombs in the southern part of the capital city of Manama and had arrested several men suspected of having connections to the IRGC. More than 1.5 tons of explosives were discovered, as well as a network of underground bunkers where the bombs were manufactured. Tariq al-Hasan, commander of the Bahraini police force, accused Iran of operating the plant as part of its efforts to destabilize the country (Reuters, October 1, 2015). In August 2015 the Bahraini police force announced it had exposed a direct Iranian-Hezbollah link to a terrorist attack carried out on July 28, 2015, in which an IED exploded and killed two security force operatives. 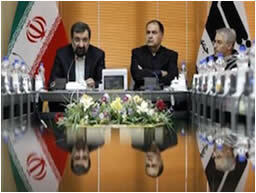 Iran denied involvement in carrying out terrorist attacks on Bahraini soil. Following the deterioration of the security situation in the West Bank and Eastern Jerusalem, Iran issued a strong condemnation of Israel. Marzieh Afkham, spokeswoman for the Iranian foreign ministry, condemned the "crimes of the Zionist regime against the defenseless people of Palestine, especially in the West Bank, which led to the death of two young Palestinians." She warned of the consequences of the steps taken by Israel which, she claimed, harmed the sanctity of Al-Aqsa mosque and Jerusalem (Mehr News Agency, October 6, 2015). He claimed Netanyahu had made two mistakes: first, the book was not published after the nuclear agreement between Iran and the West, but rather in 2011. Second, the book is an anthology of statements made by Khomeini and published in the past, and was not written by Khamenei himself. Mirzaei did say, however, that Netanyahu had correctly understood that the book included strategies for destroying Israel in accordance with the revolutionary vision of the Islamic Revolution's founder, Ayatollah Khomeini. Mirzaei said that throughout his speeches and declarations, Khamenei had devised several ways to destroy Israel, including the use of "resistance," as well as military and political strategies. 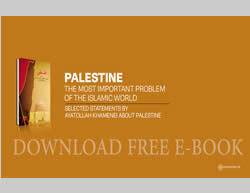 After Netanyahu's speech the Twitter account of Supreme Leader Ali Khamenei posted a link to the e-book in English.